Score big with this party-sized edition of the best-selling dice game! 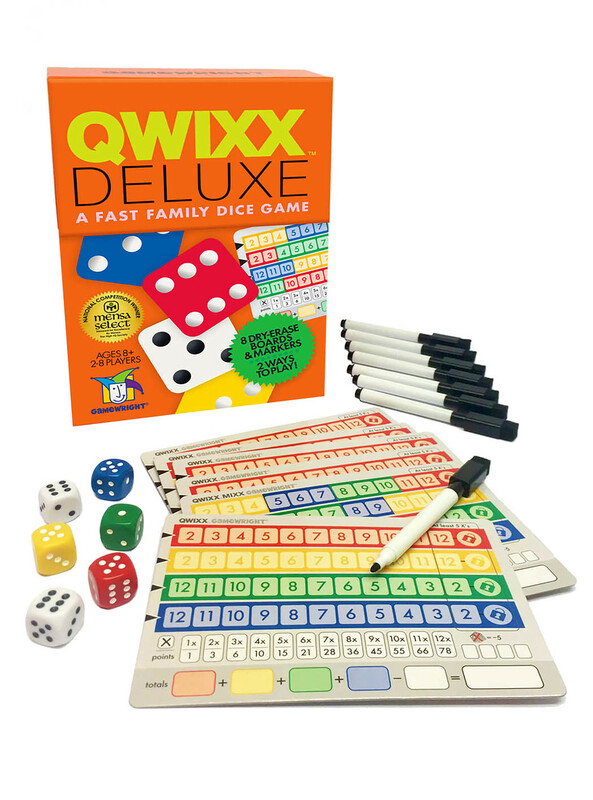 Qwixx will you have on the edge of your seat from the beginning to end. 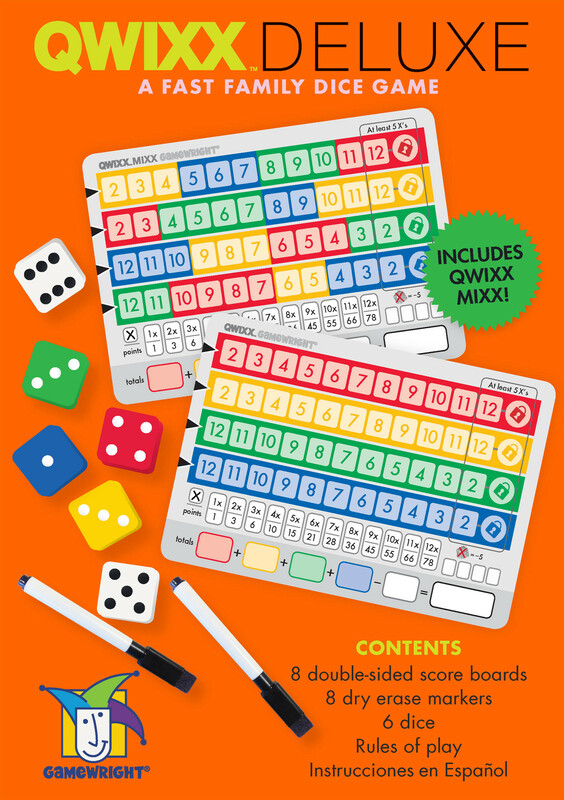 It's simple to play but each decision is crucial - the more numbers you cross off, the more points you score. With no downtime between turns you'll have a chance to gain from each and every roll. 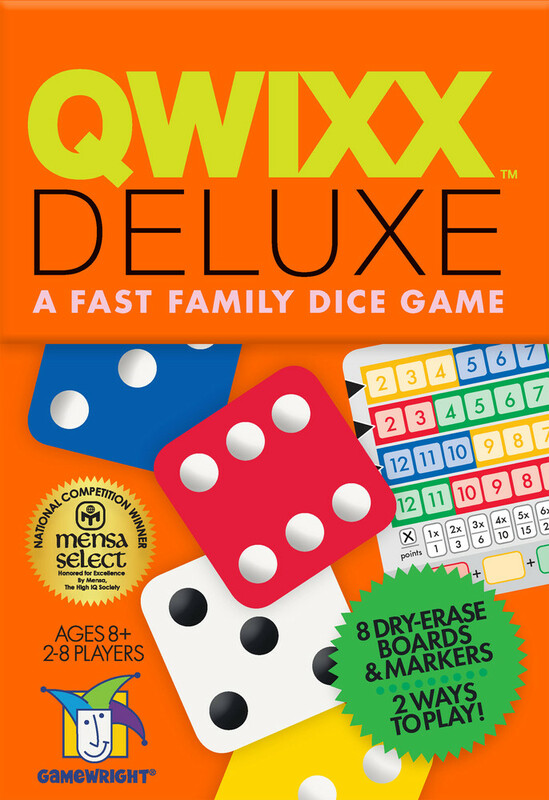 After just one round, you will be caught up in Qwixx-fever! includes 8 dry erase markers and boards, plus bonus Qwixx Mixx game for alternate play. Carton size: 14.96" x 7.36" x 10.35"